Gov. 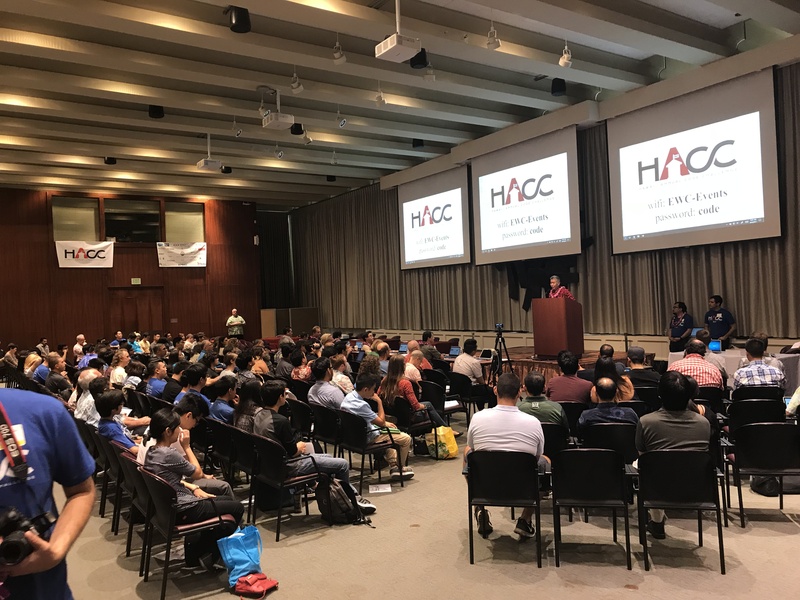 Ige addresses the HACC’s teams of coders, ready to present their computer solutions to improve state government. 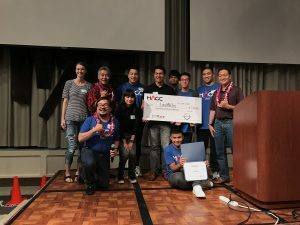 The first-place team of UH students from the 2017 Hawai’i Annual Code Challenge (HACC). Attention, all computer programmers, software developers and tech innovators who want to improve state government: The next Hawai‘i Annual Code Challenge (HACC) kicks off Saturday, Oct. 20 at 9 a.m. at the East-West Center. The event is open to students, amateurs and professionals with the most outstanding solutions eligible for cash prizes and consideration for implementation by the state. At the kick-off, state departments will present day-to-day issues that could benefit from better coding solutions. Teams will then have three weeks to develop applications, which they will present Nov. 10 to a panel of judges. During the development phase, two workshops will also be held to help teams devise their solutions. 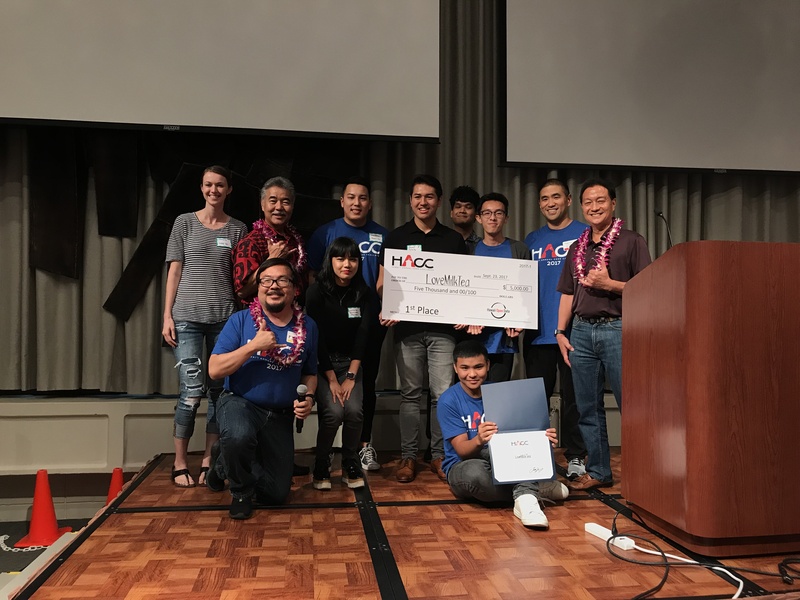 The competition, conceived by Governor Ige, is coordinated by the Office of Enterprise Technology Services. To enter, visit hacc.hawaii.gov.